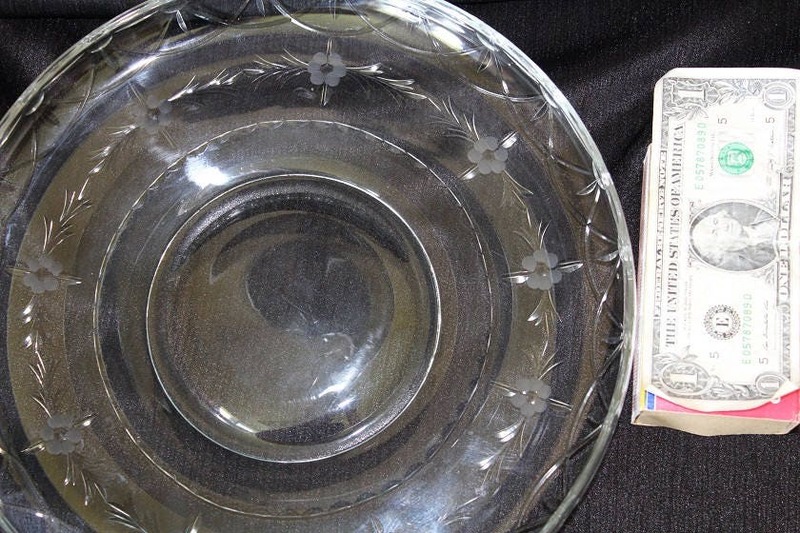 This vintage serving plate is a large, heavy piece. It has a frosted floral and cut leaf pattern circling around its center. 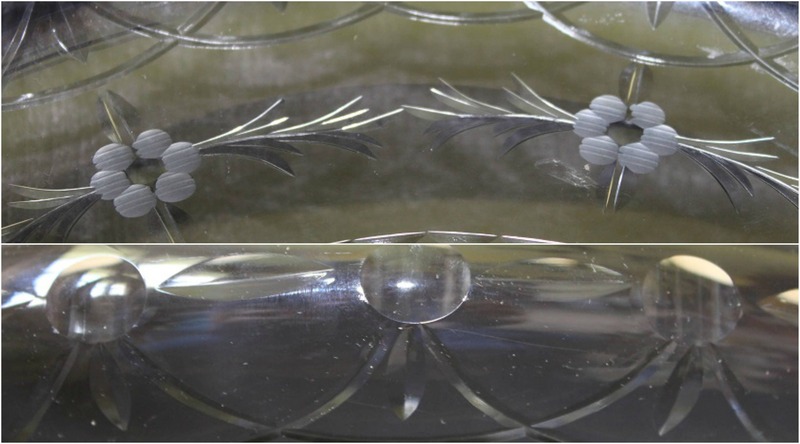 There is a geometric design connected with a scalloped line pattern just under the rim. 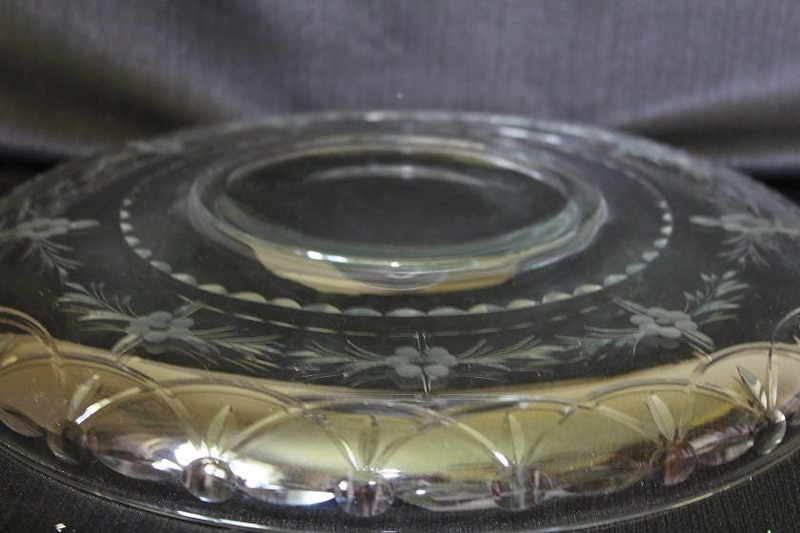 The platter has a thick, smooth edge rim. 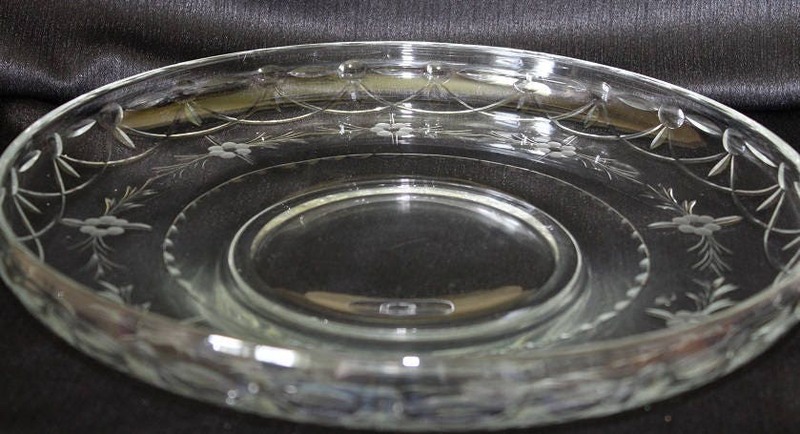 The bottom of the platter has a round clear indentation perfect for a serving/dip bowl. 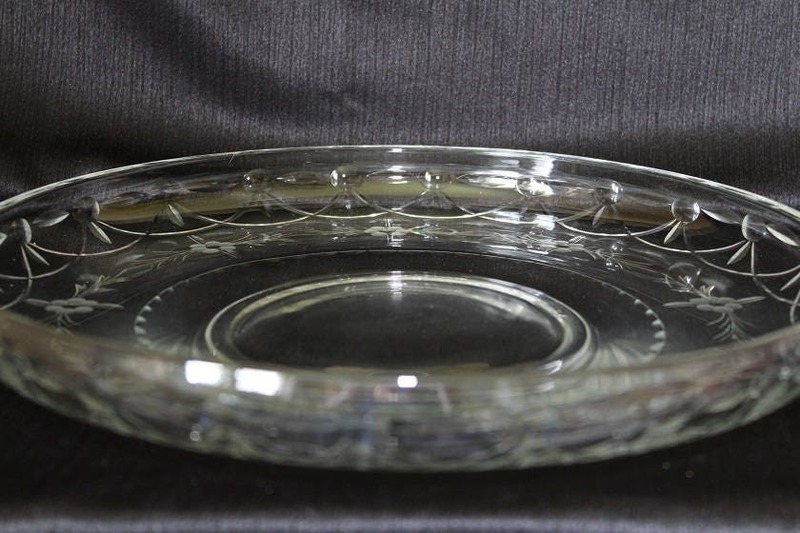 This serving platter is in nice condition with no cracks or chips; however, there are some scratches from normal use.